With the popularity of stoves at an all-time high, the question of where to put your logs has become a burning issue. 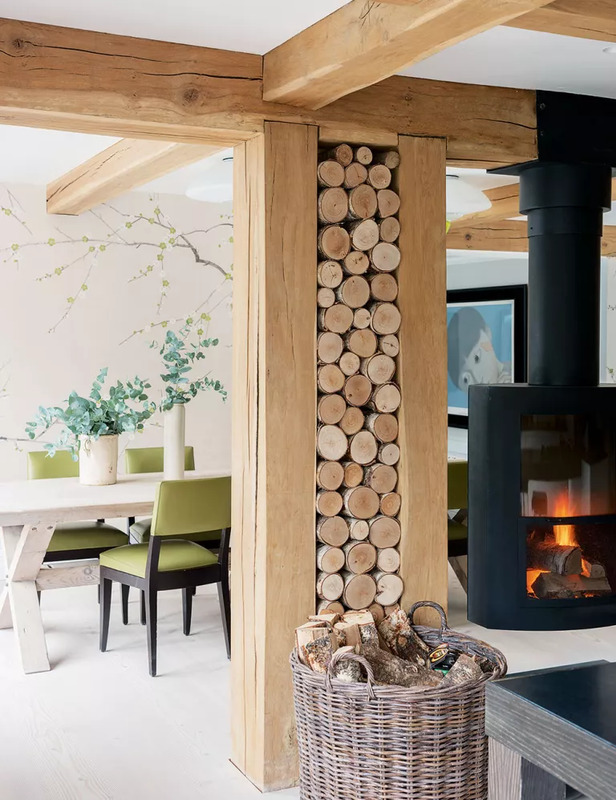 In Norway, wood piles – called holz hausen – are something of an art form, built up and displayed in homes and gardens with pride. However, not done properly, displaying logs can be hazardous. Aside from their potential to topple onto people, where you stack your logs can cause an issue. Then you need to make sure you have the RIGHT logs. Oak is a safe bet, provided it’s seasoned – in other words, left to dry out for at least a year (or in a kiln). Cherry, beech, ash and hawthorn are other strong contenders with a good, even burn. Softwoods like pine, birch, lime and fir will either spark too much or burn too fast, so won’t keep you warm and will line your chimney with potentially dangerous deposits. Poplar gives off a bitter smoke, so it’s best to avoid that, too. Read on for our excellent log storage ideas that are safe and stylish. Here, a simple boxed-in space has been turned into a work of art with carefully arranged logs of different sizes. Your local carpenter should be able to build you something similar in MDF. And despite its luxe look, it shouldn’t be too expensive. Keep your fire wood to hand by piling it behind smaller objet on a shelf. Make sure there’s nothing above to obstruct you from reach for a fresh piece, and always add new wood to the bottom of the pile so that you use date most seasoned pieces first. Here’s a clever way to use the potentially wasted space between two supporting pillars of wood. As Tony from Morso recommends, you should always leave a gap between any fire wood and the stove itself. If you have a proper log store outside, there’s no real need to have a big store indoors. But it is handy to have half a dozen logs or so inside in case it gets chilly. This bespoke store is a clever way to fill an awkward space under the stairs or eaves. 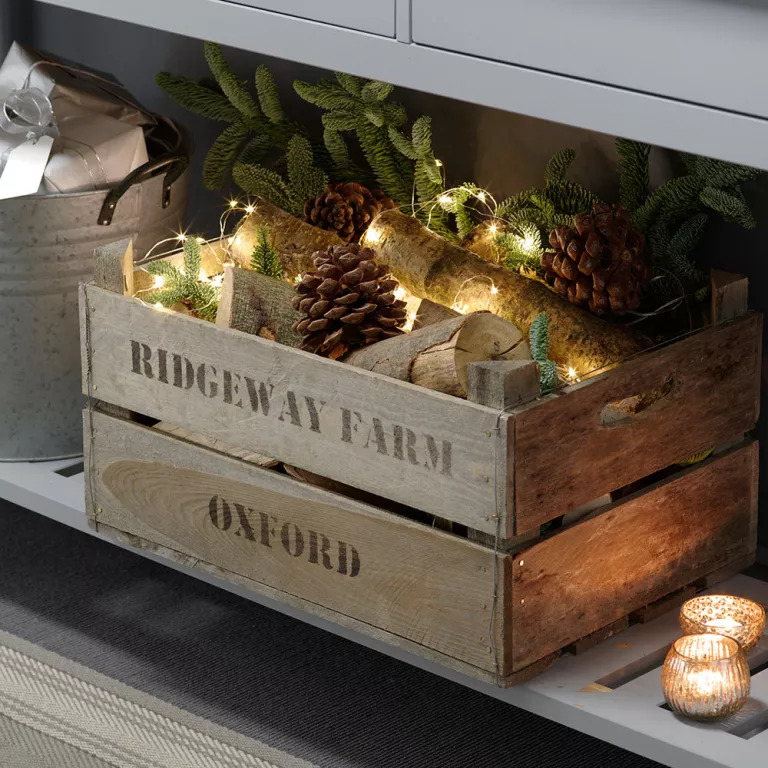 Make more of your logs by displaying them in a box with pine cones, cuttings from a pine tree and some low-voltage fairy lights. It can double as a low-cost Christmas centrepiece. For a bigger statement, go the whole log hog and pile them high in an alcove. This look is fabulous – but comes with its share of risk. We wouldn’t recommend you try it if you have small children, for example. To make things safer and logs easier to retrieve, you could consider adding shelves at intervals. 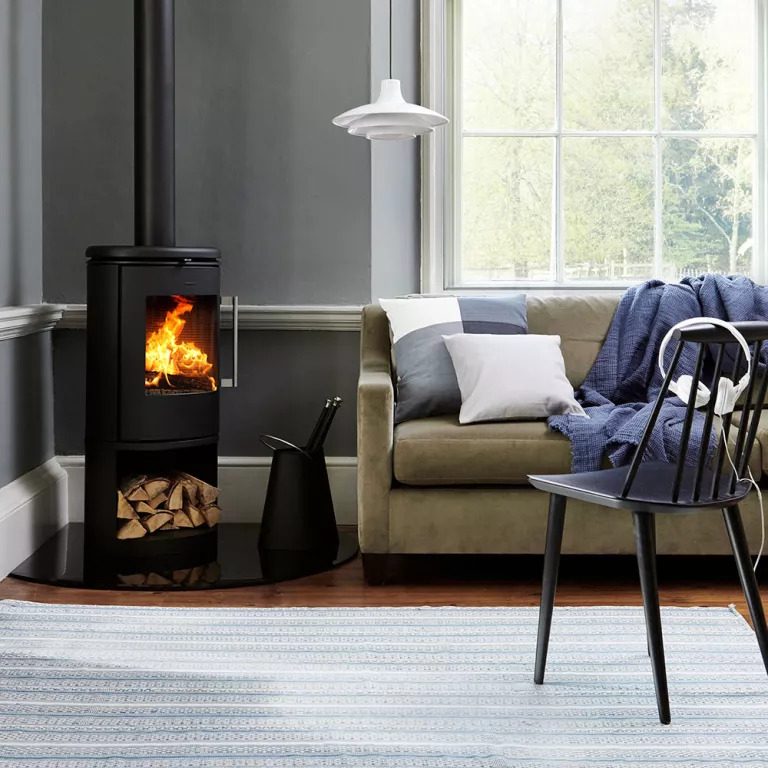 High-end stoves – like this one from Morso – are often available with or without built-in storage. The good thing about opting for a stove with storage is that you can keep your logs right next to your stove without any safety concerns. You should never otherwise stack logs beside your stove, as it could be a fire hazard. 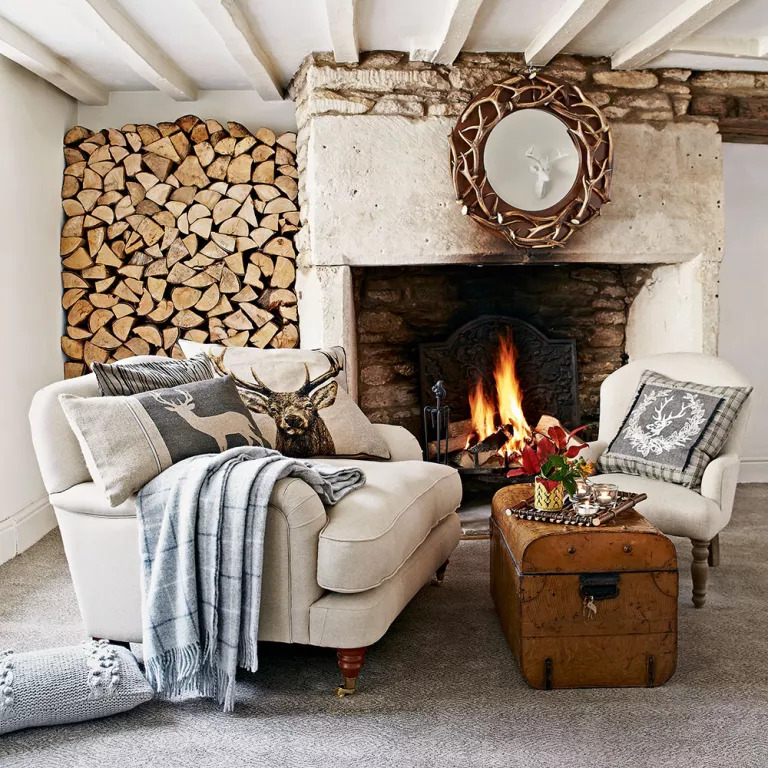 You don’t need to have logs – or even a fire – to enjoy their rustic charm. 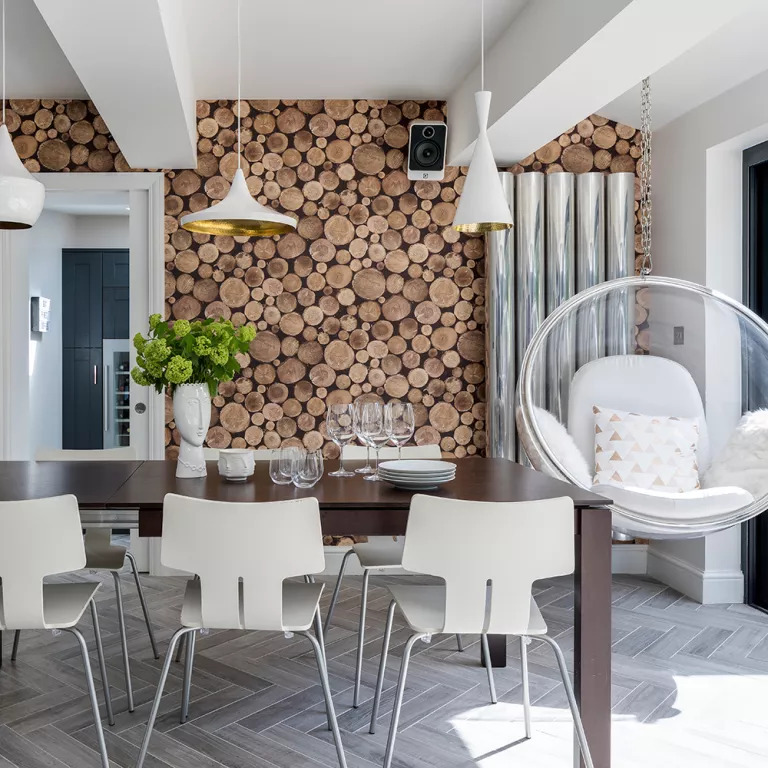 this VERY realistic log-print wallpaper creates the same effect, and doesn’t require any storage space or chopping of wood. Chop, chop – it’s time to tame that log pile once and for all! 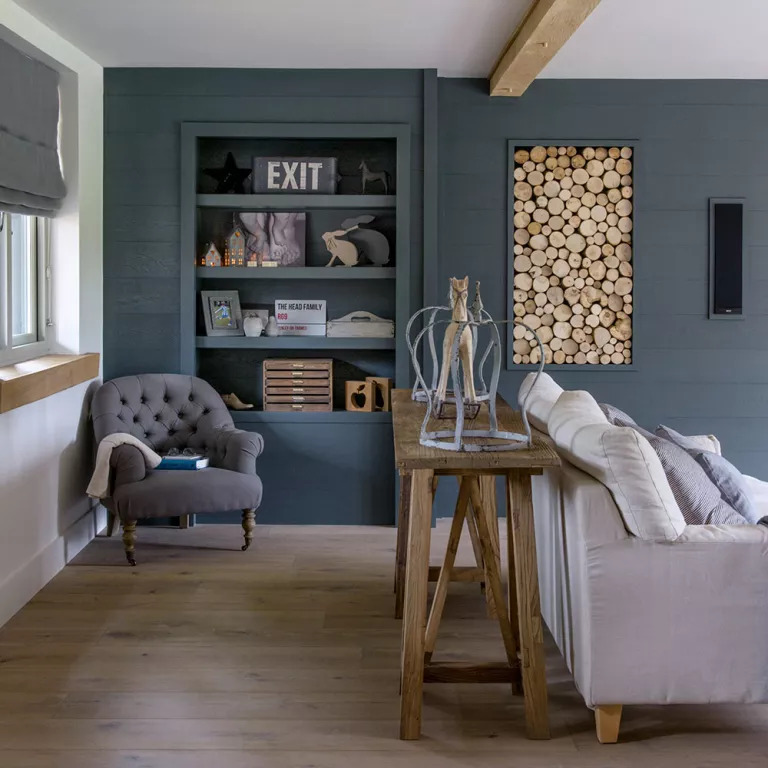 The post Log storage ideas – stylish ways to display your winter fire wood indoors appeared first on Ideal Home.